Fans of Fuller House received some bittersweet news recently concerning the future of the show. While Netflix ordered another batch of new episodes for an upcoming fifth season, it will serve as the last for the TV series. Five seasons are better than four, but knowing the show is coming to a close has resulted in a lot of fan backlash on the internet. Now, Bob Saget, who often appears on the series as Danny Tanner, thinks this outpouring of support provides new hope for the show's future. "Who knows if it's the last season?" Saget recently said at the TV Crtics' Association winter press tour. "I don't know. Fans are rebelling," the actor adds, suggesting the show just might survive beyond season 5. 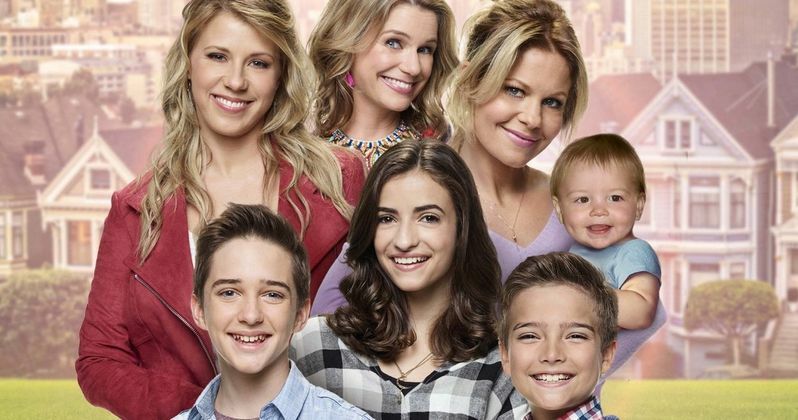 If we go back a decade in time, the concept of Fuller House would have seemed laughable. Nobody could have predicted that Netflix would resurrect a classic sitcom like Full House and even see it become a critical hit. Originally running between 1987 and 1995, Full House was often criticized for its humor, yet it always had a certain charm to it. With original cast members calling for it, fans of the series began to rally behind the idea of a revival until Netflix finally put in an order for Fuller House. Notably, the only cast members from the original series opting not to return were Mary-Kate and Ashley Olsen, who became famous by sharing the role of Michelle Tanner. From the rest of the cast to the identical sets, the new series still felt like a genuine continuation in the best possible way. While holding onto hope isn't necessarily a bad thing, it's hard to say if it will be enough to keep the show going. Netflix controversially canceled one of their flagship shows in Marvel's Daredevil after three seasons, despite its critical acclaim and perceived popularity. Because Netflix doesn't officially release viewership numbers to the public for any specific series, that also makes it hard to know just how much any particular show is watched. At the end of the day, it seems that no series is really safe on the network, and five seasons is still something for those behind Fuller House to be very proud of. As for Bob Saget, we can count on seeing him back on the small screen soon enough. The comedian has been working hard on his upcoming ABC comedy series Videos After Dark, which can best be described as an adult version of America's Funniest Home Videos. On videos with content suitable for more mature audiences, Saget will be offering commentary and funny voices in a way similar to he had for years as the original host of AFV. Because Saget is now much more well-known for his raunchy stand-up comedy than the G-rated comedy he was known for in the '90s, this seems like an excellent role for the comedian. For now, there's no word on when Netflix will officially release the fifth season of Fuller House. Season 4 premiered on the service fairly recently in December, and the plan is to start shooting season 5 in the near future. More information about the final season's production should be coming soon. This information comes to us from E! News.